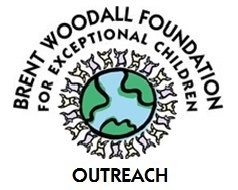 The Brent Woodall Foundation for Exceptional Children is offering consultation in Spanish to parents of children with autism and developmental disabilities. A case manager will meet with parents on a monthly basis at the Brent Woodall Foundation’s therapeutic center in Irving, via online video consultation using Skype, or at a to be determined public meeting place in the Dallas- Fort Worth community. During the consultations, a case manager will train parents to use the method of ABA therapy with their children, help parents set up an ABA therapeutic program in their own homes, and answer any questions they may have about their children’s development. In order to receive services from the Brent Woodall Foundation, you must complete an intake packet available below. Once the intake is completed and received, a case manager will contact you shortly. Then you will need to schedule a Family FIRST meeting, in which the case manager will conduct a free psychological assessment and parent training. This will also be an opportunity for you to ask questions about the Brent Woodall Foundation and the services available to you. Please download and complete an Intake Packet and turn it into the Brent Woodall Foundation. For questions, please contact Tatiana Henriquez-Flores at tatiana@woodallkids.org or 972-756-9170. If you are a professional and would like the Brent Woodall Foundation to provide Family FIRST assessments and consultations in Spanish to your clients, please contact Tracy@woodallkids.org. Please also view our Professional Consultation Services page.